Usually BAS will restart thread in case if some function will fail. 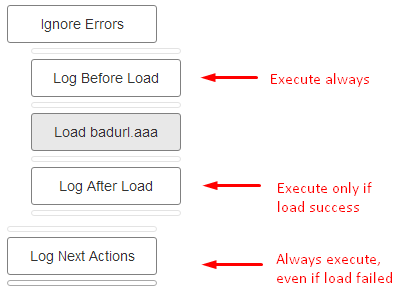 You can check WAS_ERROR variable, to detect if there was error during “Ignore Errors” block. You can also obtain error string from LAST_ERROR variable.